'Deer Tick'; an album so good they named it twice. 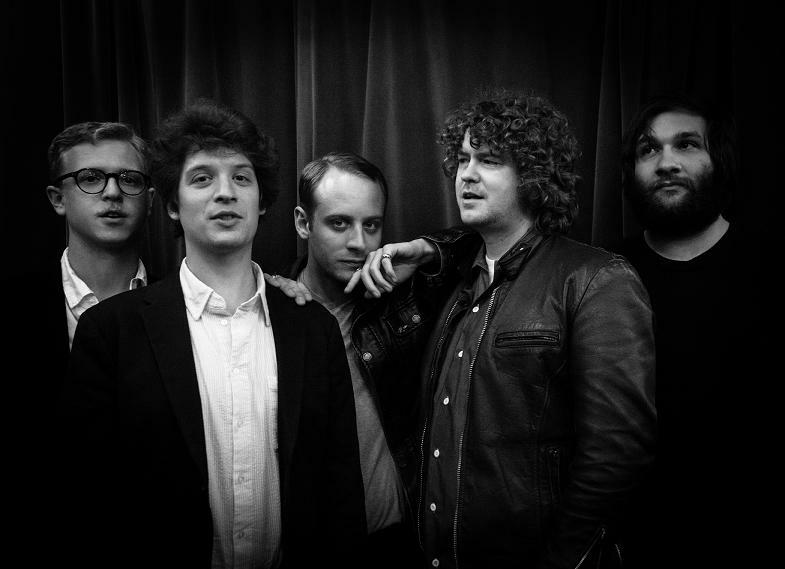 The vital, ever-creative American group Deer Tick returned with two new albums last week, and - clearly stuck for names - they decided to name them both after themselves. The eponymously titled 'Vol. 1' and 'Vol. 2' however speak for themselves, two works of striking confidence that range from beguiling, speckled Americana to garage punk crunch. Records that are rich in musical knowledge and an awareness of the landscape Deer Tick find themselves in, we're only just beginning to peer into their murky depths. The Walkmen were a band that served as a bridge between “guitar music” and songwriting for me. Their most famous tune, 'The Rat', was probably what brought them to my attention in high school, but 'You & Me' still illustrates what an album, and a collaborative group of rock musicians, can accomplish. Like 'Modern Times', 'You & Me' reaches back to the magic of mid-20th century songwriting. But for me what this album has on all other “indie rock” albums over the past few decades is its length and pacing. The first song 'Donde Esta la Playa' is slow and patient, and that lets the listener know how to approach the record. That’s a lesson in sequencing that I think of every time we make an album. Of course, none of that thoughtfulness would work if every single song wasn’t so good. I’d never really taken this band all that seriously until John (our singer) suggested we play 'Are We Not Men?” in its entirety for our 10th anniversary run of shows at Brooklyn Bowl. When it became required listening (and learning), I was blown away. Everybody in our band grew up immersed in some kind of noise music scene at one point or another, and 'Are We Not Men?' shot my state of mind right back to that time, seeing bands like The Chinese Stars, Lightning Bolt, or Daughters. The visceral excitement of songs like 'Too Much Paranoias' has been a huge influence. The pitch shifting guitar breaks, where the strings sound like they are literally being pulled off the guitar, I essentially ripped off. On our new song 'It’s A Whale', I detune the low E string to try and get to that ugly territory, and I have Devo to thank for that. I recently got into some of Nick Lowe’s 80s material that is being reissued. Maybe it’s because he was his own, brilliant producer, but his 80s music didn’t fall victim to the influences of that era’s technology and trends. 'My Heart Hurts' is a perfect example of Lowe’s wordplay and clever arrangements. The first time I heard it, it gave me a rush of joy in discovering some of my favorite songs. I also love the section “It’s murder but its nice / Getting away with it / The time you let it slip / I liked it” (It should be noted this was cowritten with his then wife, Carlene Carter). I’m not sure what it even means, but it feels as though I’m being let in on some salacious secret. The track right after this one, 'Couldn’t Love You (Any More Than I Do)', has one of the most enjoyable piano solos I’ve heard put to tape. It’s one note played over and over, increasing in frequency and intensity as the section moves forward. Not only is Nick Lowe brilliantly effective, but he’s hilarious, too. I think this album first came to my attention in the front seat of Patrick Stickles’ (singer of Titus Andronicus) car. He’d recently acquired a cassette tape and I was suspicious because I was young and full of it. I thought all 60s/70s artist’s material only got worse as the decades wore on, not to mention Lou Reed’s dramatic “New York tough guy” look on the cassette cover. I don’t think I need to explain the merits of Lou Reed’s “street poetry” on display here because that’s well worn territory, but what really struck me was how bare and vulnerable some of his performances are here. I love when he chooses to forsake rhyme for detail on line like “I betcha I could hit that light with my one good arm behind my back says little Joey Diaz”, seemingly coming out of nowhere on 'Romeo Had Juliet'. On a line that seems to have very little to do with the “crack dealers dreaming of uzis” a moment earlier, for me it paints a personal portrait of New York at the time, like some kind of a conversational side that shows instead of tells. The most vulnerable tune has to be 'Endless Cycle'. Lou sounds like he’s about to cry singing about the life of addicts and, having been one himself, he sounds deadly serious. In August 2006, I was 18 and had just moved to Manhattan to go to art school. By the end of high school, I was already obsessed with Bob Dylan and other “songwriter type” singers and bands. At the same time, I was raised on my fair share of my grandmother’s Sinatra, Ink Spots, and other mid-century standards albums. New York City, in my fresh imagination, was the visual counterpart to Bob Dylan and Tin Pan Alley-type songs. When 'Modern Times' arrived on August 29th, it felt like an album that was created to service all of things I was falling in love with at that age. Songs like 'When The Deal Goes Down' felt nostalgic only in form but incredibly relevant and vibrant in performance. His phrasing and timbre are, in my opinion, at a career peak on this song. Because Bob Dylan gives himself so many verses and turnarounds to play with, he can explore every corner of the melody, letting the songs feel like a circular meditation on the American song. 'Deer Tick Vol. 1' + 'Deer Tick Vol. 2' are out now.